Up North things are a little different. Some parts of Canada speak French, nickel packs held four cards and their football fields have a 55 yard line. 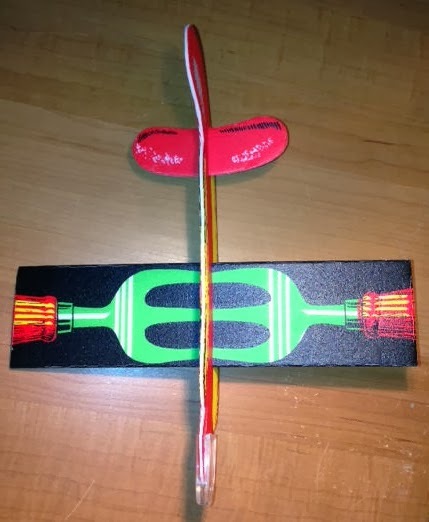 And sometimes their package design cards just do something weird. The Bozo cards would be blank backed of course. There is also a reference on one of the Benjamin Sport Americana Guides about blank backed cards being found in cereal boxes. In the Topps set those cards are numbered, from top to bottom, thusly: 16, 99, 94. 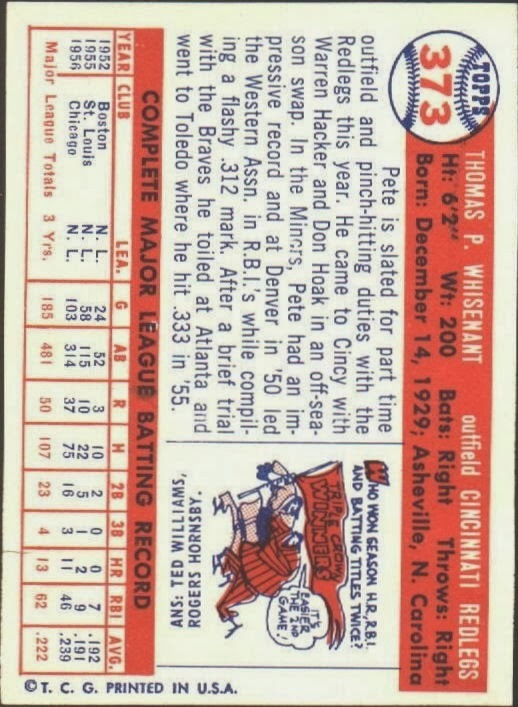 I'm not sure if that corresponds to the original Topps ordering or not. 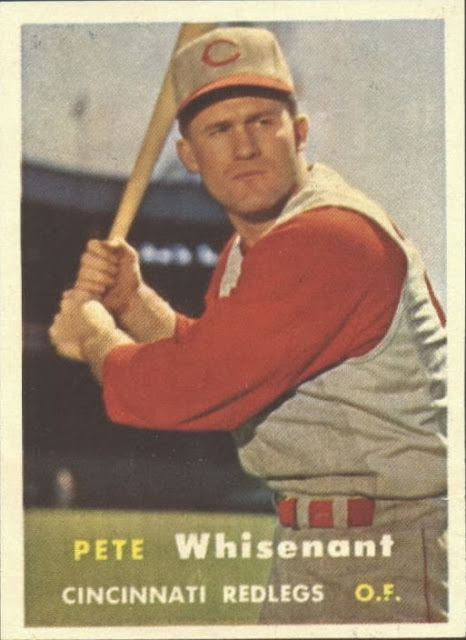 I'm also not sure of the full Canadian checklist as cards from that country are not was well documented as ones from the U.S. The box above is an O-Pee-Chee product, although it's hard to read in the scan. It's a neat little set with a bit of a twist, eh? Blony At The Malt Shop? 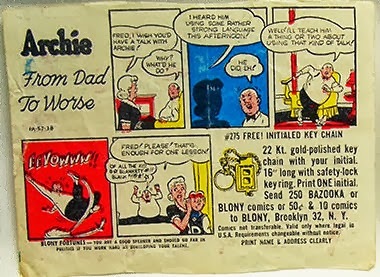 After Bazooka Joe, the next most iconic character Topps memorialized in comic form would have to be Archie Andrews (with apologies to Henry). 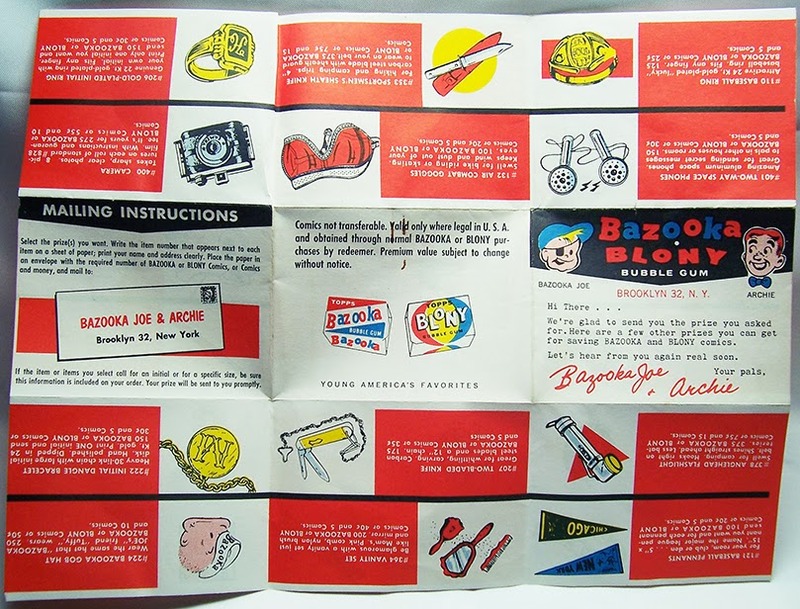 As a result of their early 1956 acquisition of Bowman, Topps inherited the Blony bubble gum brand. 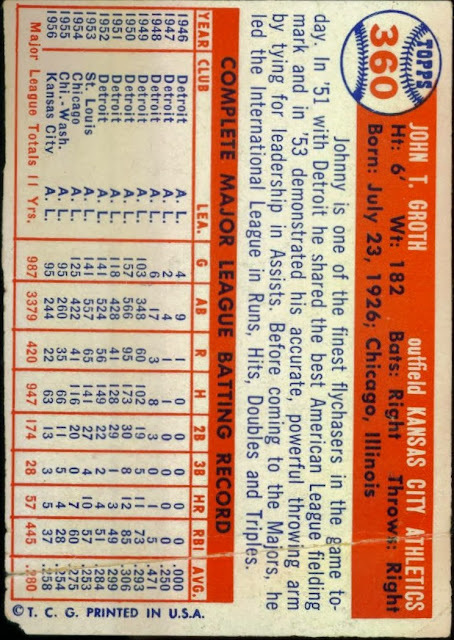 Blony had been a major brand for Bowman and must have had its adherents for Topps to keep it around. 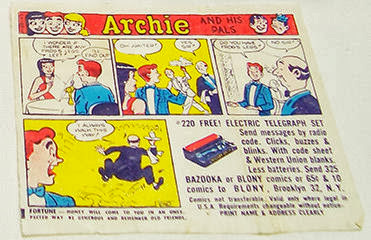 Instead of cross promoting Bazooka Joe And His Gang, Topps went with two series of Archie And His Pals comics instead in 1957-58. 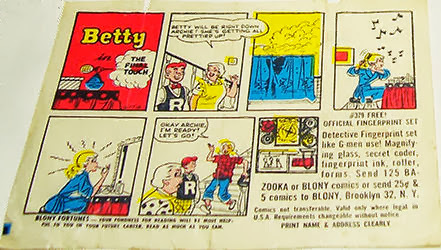 This blue version extract does not mention Blony in the text above the gum tab illustrations. Weird. A code (which I can't decipher) has been added as well. BFF o'the Archive Jeff Shepherd is not positive the striped Blony wrapper was marketed. I wonder instead if the flavored Blony tabs used it and the regular version kept the rainbow version seen on the red catalog. 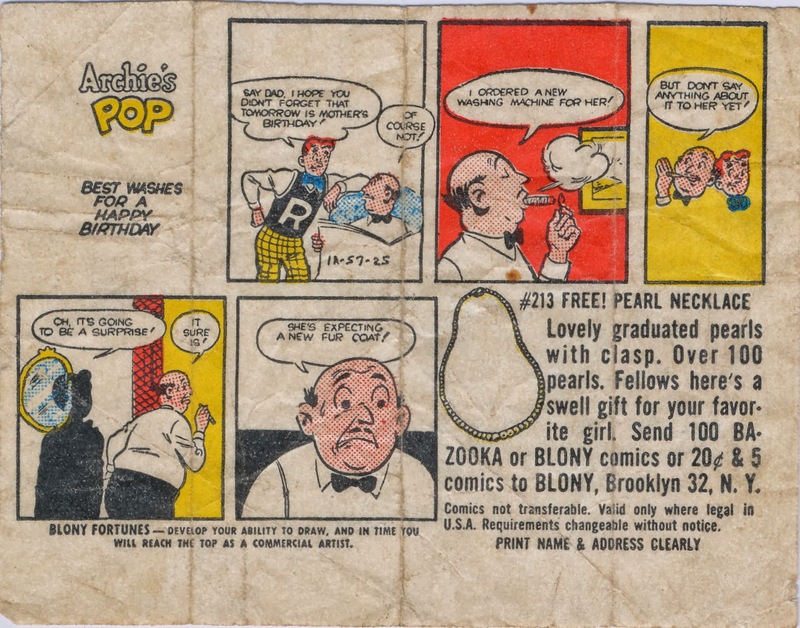 Blony was always the poor cousin to Bazooka but it lived on at least until the 1970's, sometimes tweaked into a twist wrap, sometimes not. Later comics actually appeared on the outside of the Blony wrapper but that's a tale for another day. 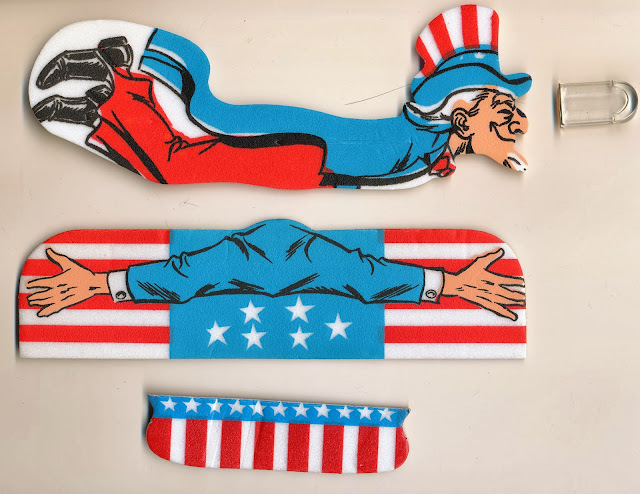 Starting in 1966 Topps began issuing a long running series of styrofoam airplanes called Flying Things. 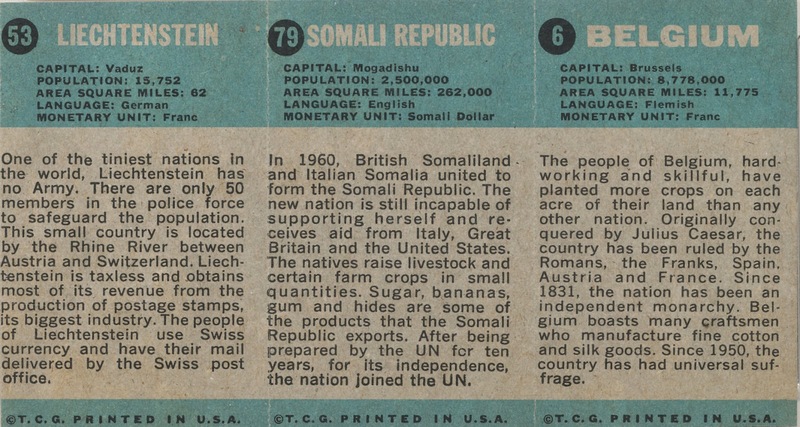 At least seven different series were issued and this does not count branded items such as Marvel Flyers. 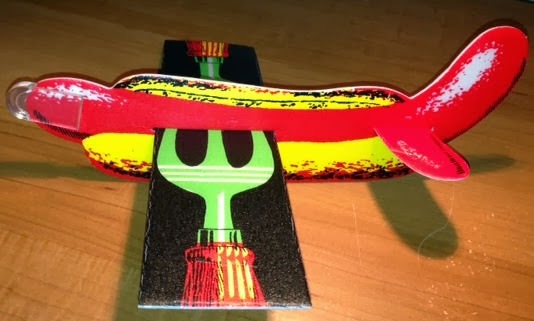 Clearly showing the effects of the cutting edge artists Woody Gelman was hiring, each Flying Thing came in a paper wrapper and consisted of a plane body, wing, tail and nose clip. 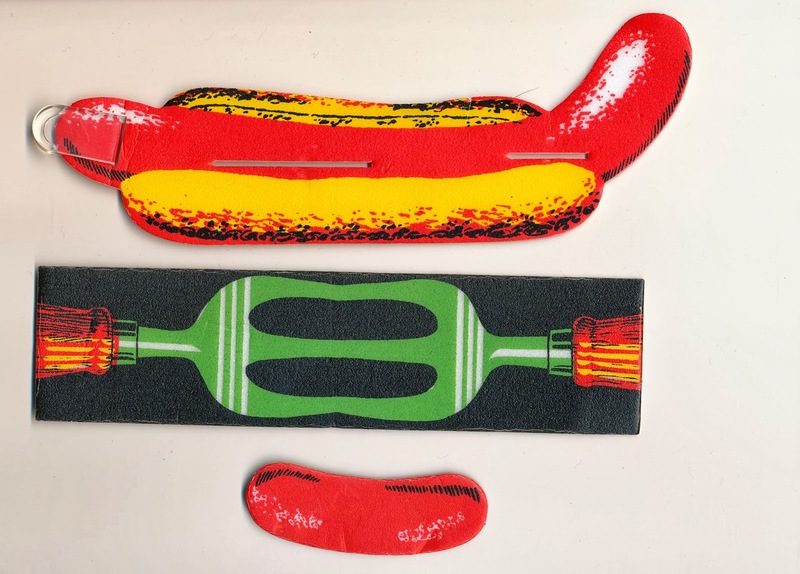 All sorts of wacky designs were used, some of which were really out there. 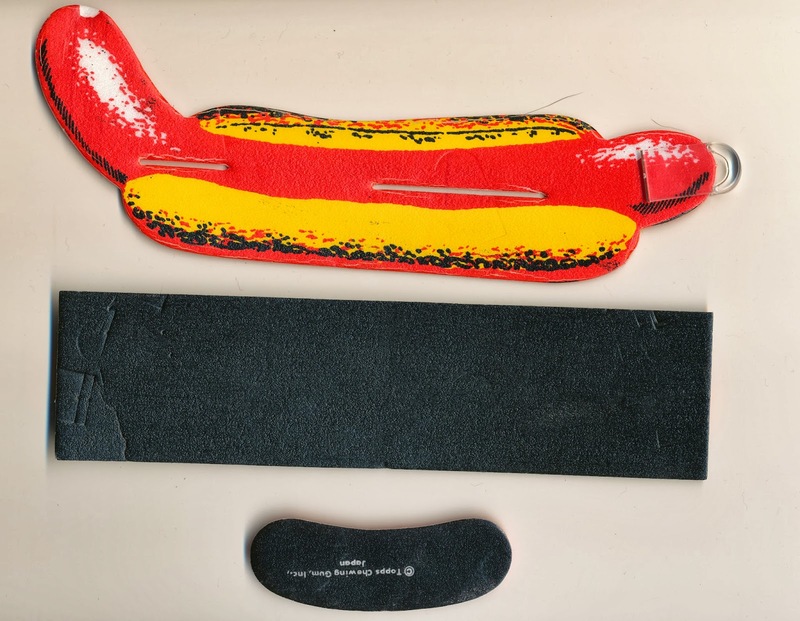 The assembled plane is quite the sight; behold the Flying Hotdog! At a guess, it looks like someone changed out the Captain America tailpiece from Marvel Flyers. Flying Things were issued through at least 1975 and there are at least 48 different ones, many of which were issued multiple times. Marvel Flyers has 12 and there are a few other similar issues such as Fighter Planes, albeit without the whimsical themes of these. If you want obscure, boy do I have it for you in spades today! Some of the earliest Topps "insert" issues were printed on the little cardboard trays that came with a nickel roll of Bazooka. 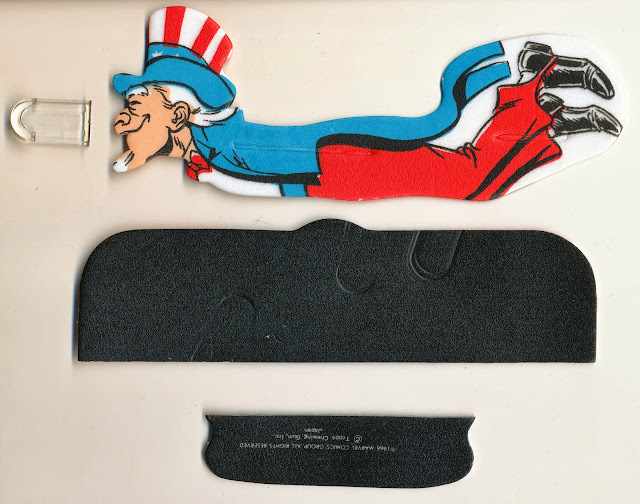 These trays had a small "stamp" or historical subject on them as sometimes a premium offer but in reality it was just a hunk of cardboard with some monotone color added. Thanks to Jeff Shepherd for that one. Yes, they did a set about the ultimate killing machine! Eighteen in the set, although I can't confirm that yet. 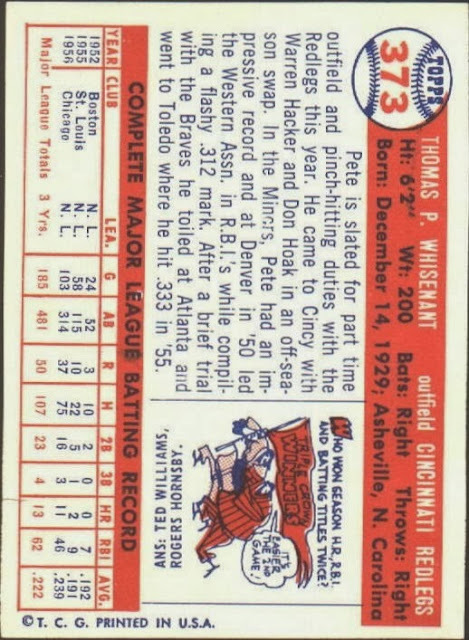 Premiums #101-108 were the first group offered by Topps and the address is an early one used by them. 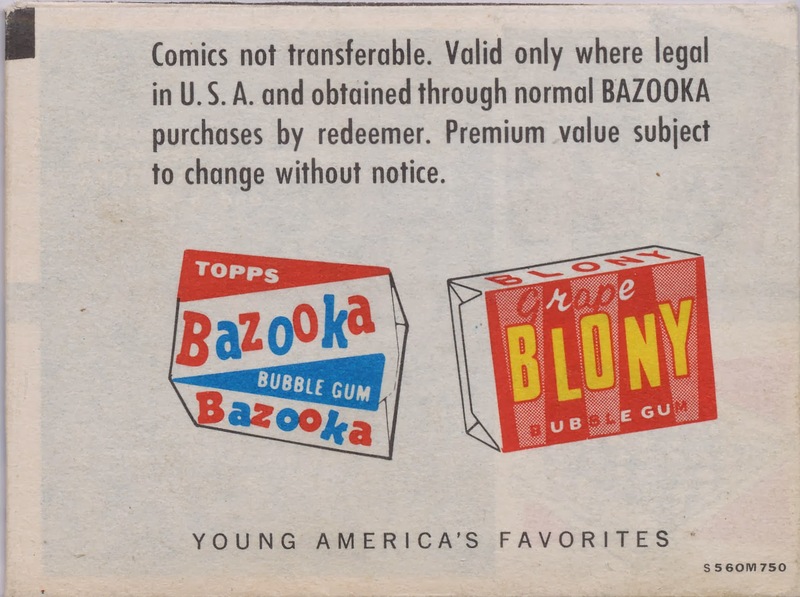 Bazooka was originally sold in 1947 under the Bubbles, Inc. nom de gomme. This tray could be from that year or 1948. Also Shep's. This may have been the first one as no premium offer is shown but certainly in the same time period. Twelve in the set. More Shep goodness as it's nicer than the one I have. 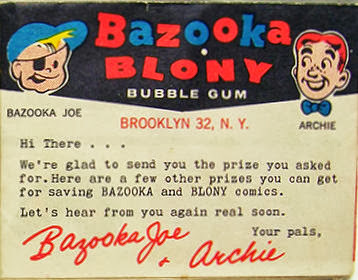 The style is the same as Story Of The Atom Bomb so they could be related but this uses a later address for the premium offer and references Bazooka. A low # premium indicates an early issue and eighteen subjects are in it, as confirmed by the above example. 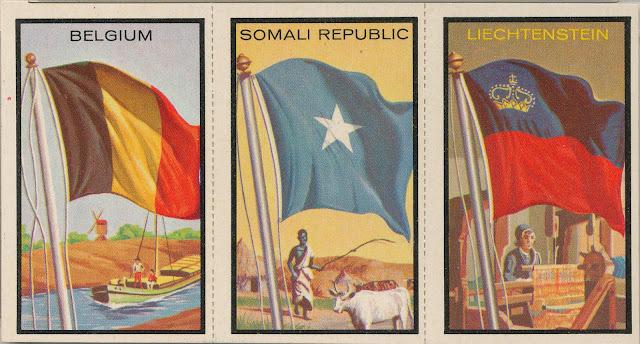 All four series are scarce but not widely collected. 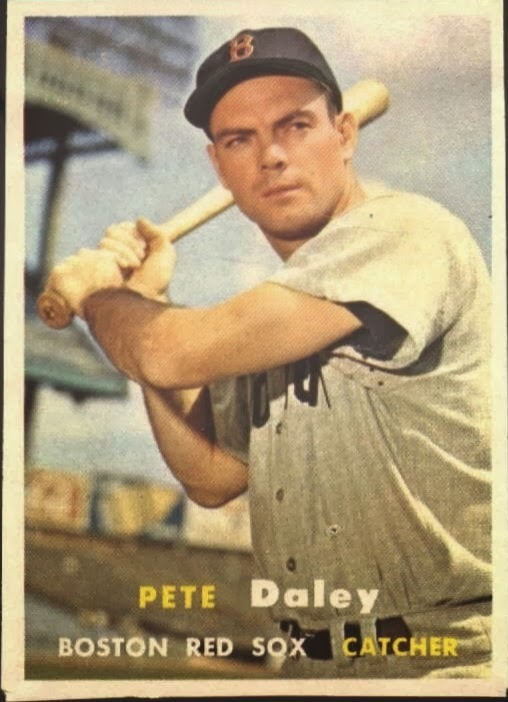 ...1957 Topps Baseball Paper Proofs. Actually there are at least 32 known or identified but only three have ever popped up in scans that I can find. 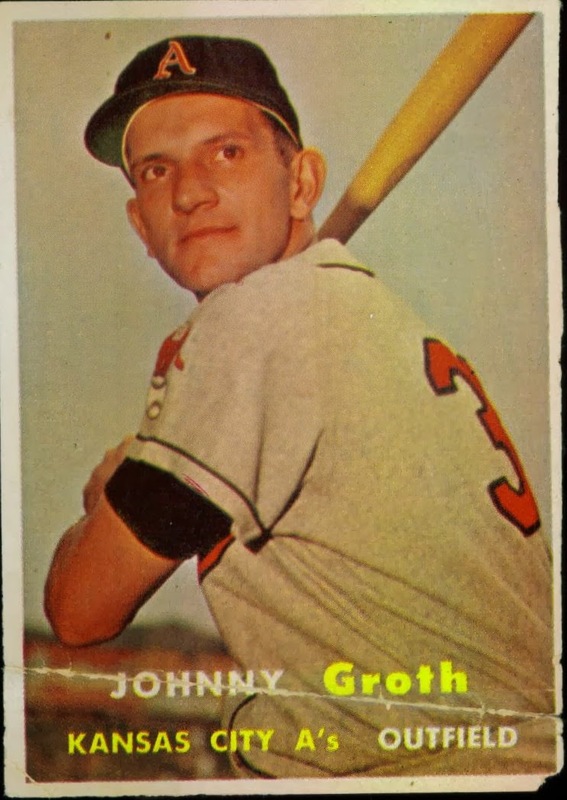 Thanks to a recent eBay auction, two visuals were added to the existing one (#360 Groth), which was previously covered here. All known '57 proofs are on the sales list which covers the highs numbers from that year, which gives a universe of 55 possible subjects. And those prices are INSANE!!! 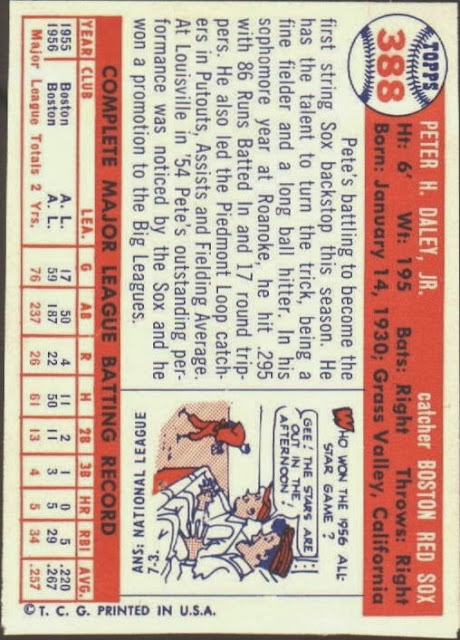 Topps probably ran proofs like this off every year. 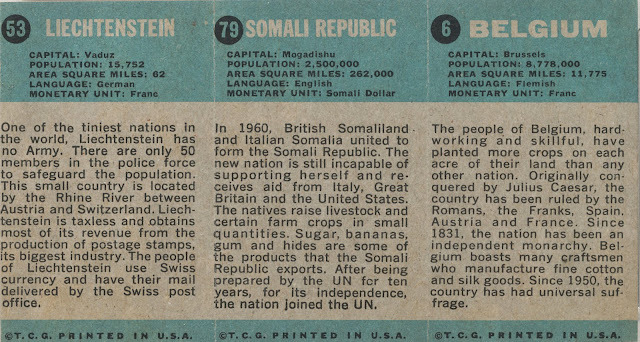 The 1957 examples have finished backs but others that are known from 1967 have blank backs. I suspect the finished (with backs) proofs were the last to be run before the press sheets were printed. 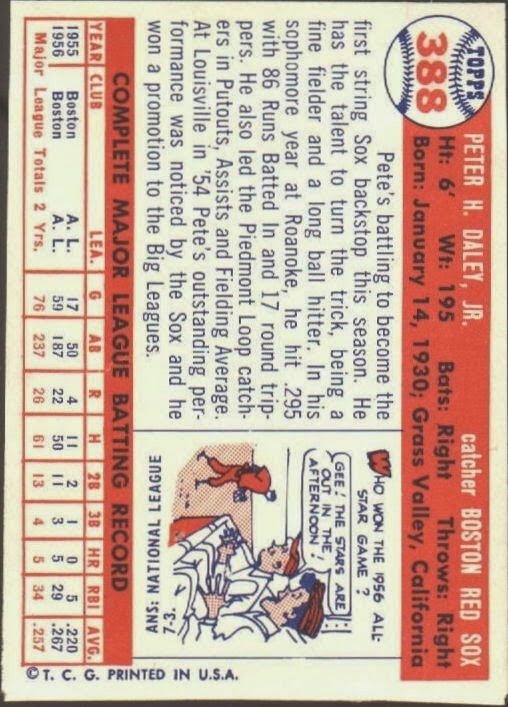 That '67 link also has a '66 Mantle paper proof shown by the way. Bob Lemke had a nice post on these a few years ago, quite worth the look here. 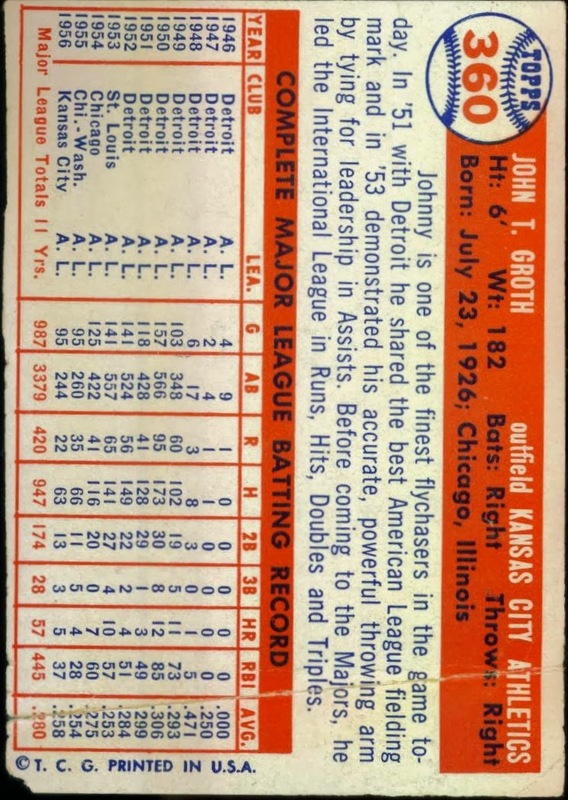 I have to think most surviving paper proofs were retained by people present when they were printed, likely just the printer's personnel and whoever was there from Topps at the time. 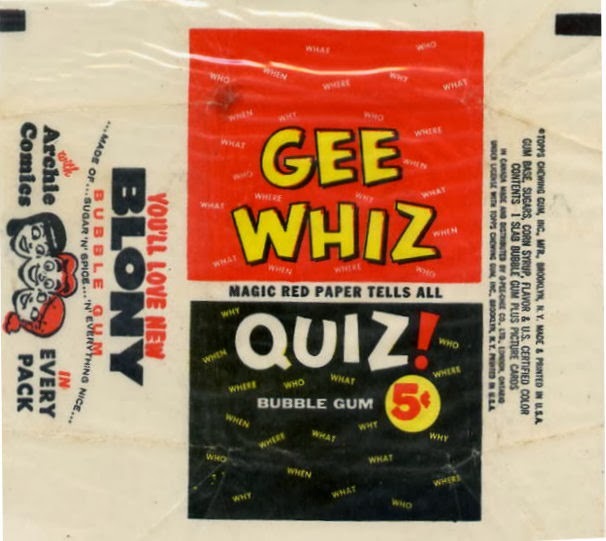 It's believed the 67's came from Woody Gelman's collection and given his company was selling the 57's, all known paper proofs probably were the result of Woody's hoarding. Woody passed away in 1978 so it looks like his personal copies of the proofs (and cloth stickers) were being sold off.